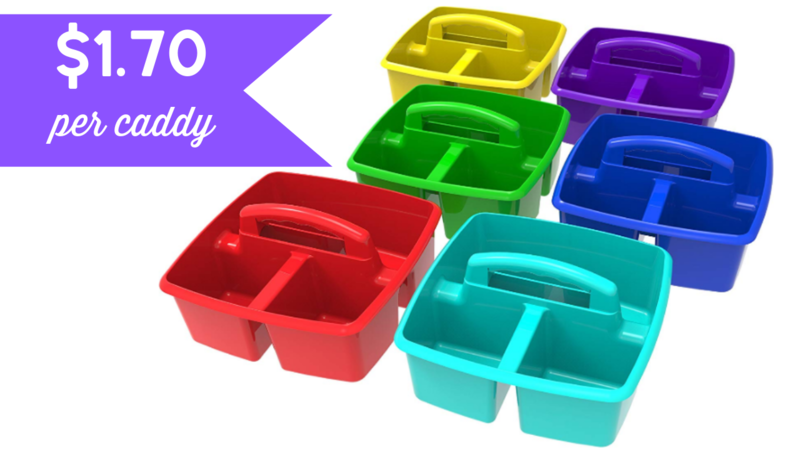 Head over to Amazon and grab a set of 6 colorful Storex plastic storage caddy bins for $10.19. That’s only $1.70 per caddy! Use these caddies for cleaning supplies, in the classroom, for your kids art supplies or even as an Easter basket! Get (3) Free Olay Samples!